Peacekeeper, Shugoki and Warden changes inbound. Ubisoft’s next big update to For Honor is coming to PC on April 25th. The full patch notes are available on UbiBlog but you can check them out below as well. 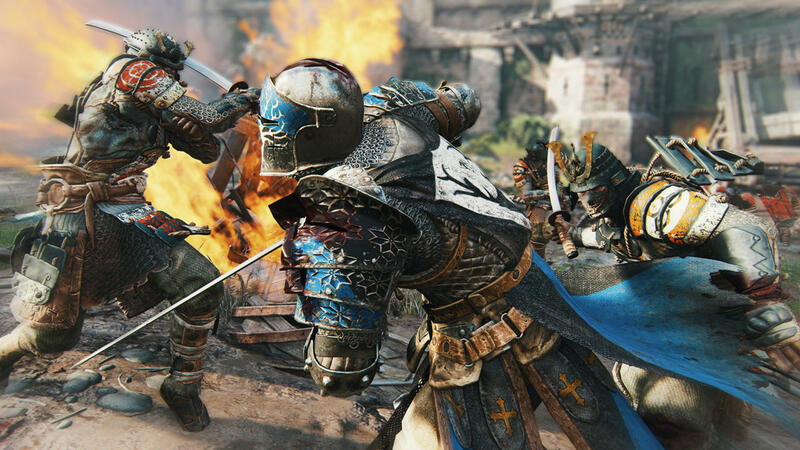 The big focus of the update is to stabilize the game but it will also bring changes to heroes like Peacekeeper, Lawbringer, Warden, Berserker, Orochi and Shugoki. Performance issues like framerate will be increased for in-game menus and matches. Furthermore, the developer noted that, “When game performance drops below a certain threshold, the simulation could suffer and eventually halt because it has reached a point that is unrecoverable (often seen as errors 06000018 and 06000021). If that weren’t enough, Elite outfits are now available have also been introduced. What are your thoughts on the patch? Let us know in the comments below. Developer comments: We fixed this bug for the Nobushi in our latest TU but it was still present on the Peacekeeper. We’ve looked at all the Bleed attacks on all characters in order to make sure this is resolved globally. We’ve also made similar changes on Stun attacks even though we hadn’t identified bugs on these. Developer comments: The current light > light spam of the Peacekeeper is annoying and it’s very hard to react on the second light. We didn’t want to fix this by making the second light slower as we want to keep some fast attacks. Instead, we’re increasing the second light’s recoveries on Block and Hits in order to put the peacekeeper at frame disadvantage if she doesn’t commit to the chain finisher. She will lose the initiative and will get hit by fast attack if she continues spamming light. Developer comments: In our latest update, we’ve introduced an issue with the light post Shove that’s unblockable if you’re in the correct stance but blockable if you switch stance. We’re fixing this so that it’s never blockable. However, the light is still dodgeable. The area of effect updates should make Shove and the Light Attack post Shove easier to dodge. Developer comments: Warden’s Shoulder Bash was cancellable by Guard Break very late, allowing Wardens to wait for the enemy to dodge and then get a free Guard Break. We want Wardens to put a lot of pressure on their opponent with this move, but we don’t want them to have such an advantage that they can force a response, react to the response, and punish the response. Now, the opponent can wait to dodge the Shoulder Bash until after it could still be cancelled into a Guard Break, but that window is intentionally very short to try to force players to have to make a read on each other, rather than simply reacting. Wardens still have a lot of power to choose what to do after initiating Shoulder Bash, but will have to commit more. [Bug Fix] Fixed issue on Throws causing opponents to get knocked down earlier. Developer comments: We introduced a regression in our latest update causing the Berserker’s Side Heavy into Top Heavy after knock down not to be guaranteed anymore on forward Throw. With this change, we’re restoring Throw follow ups to their pre-patch 1.05.1 state. Developer comments: Hurricane Blast is a very slow and high damage move. While charging Hurricane Blast, the Orochi has a bunch of options to mind the opponent: cancel into Guard Break, cancel into Dodge, cancel into Wind Gust. Without Uninterruptible Stance on Hurricane Blast, the window of opportunity to use these options was often denied and made the move feel useless. We’re adding Uninterruptible Stance now in order to give Orochis the opportunity to use these options. Developer comments: Watching Shugoki play Duels out of lock in order to knock down their enemy and get a free heavy is not really fun. By removing the knock down on contact, we want to maintain Charge of the Oni’s core function as a disruption move while neutralizing exploits in 1v1 situations.